JK Rowling's personal story is familiar to most: As a struggling single parent who had left an abusive husband, she turned to writing for solace. Her first Harry Potter book (which took several years to write) was rejected by a dozen publishers until a small publisher took it on. Sales went viral, and within a short time Rowling skyrocketed to stardom. A few years later, Julie Powell decided to write a blog as a distraction from her perceived dead-end life. Over the course of a year she cooked all 524 recipes from Julia Child's Mastering the Art Of French Cooking, and blogged daily about the experience, along with her thoughts and feelings of the day. The New York Times took notice, as did other news media. Powell wrote a memoir based on her blog, which was then made into a movie starring Meryl Streep and Amy Adams. Marie Kondo, a "tidying up" expert in Japan, wrote her first book while still in her 20s: The Life-Changing Magic of Tidying Up. This was not the first book on getting organized. But for various reasons it became an international bestseller and the basis for a reality TV show. In the mental health field, psychologist Dr. Thomas Phelan, author of the 1-2-3 Magic books and DVDs, started out many years ago by giving talks at local churches. His 60-page pamphlet was available for sale at the back of the room. As his reputation grew, he was invited to speak at schools, hospitals and other organizations. He expanded his pamphlet into a book. The book received great reviews, and has been published in 22 languages, and he has added some multimedia resources. As inspiring as the above stories are, most authors don't hit the financial lottery. Does that mean you should not bother with writing? Absolutely not. Books and other writing help boost your credentials as an expert. They become part of your platform, which includes your education, experience, skills, contacts, reputation and overall visibility. Thus, although you might not make a fortune from selling your writing, your authoritative expert status could open the door to paid speaking engagements and to more client referrals. In other words, your writing can indirectly contribute to your professional and financial success. Books - Writing a book is the most traditional way to help establish your professional reputation. Even if your target audience does not read your book, the fact that you're a published author gives you an advantage over clinicians with similar professional experience. Blogging - Blogging is one of the best ways to establish your online presence. These days, with instant online publishing, you don't necessarily have to write a book. In fact, according to a Pew Research, 24% of American adults have not read a book in the past year. 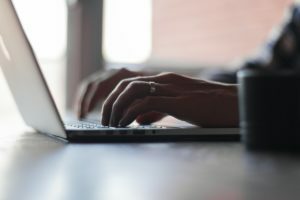 Furthermore, according to another Pew Research study, the majority of adults typically search online for health information, including mental health. You can set up a blog as part of your website, or at one of the free blogging platforms such as Blogger.com or WordPress.com (different from WordPress.org). Another option is to be a guest blogger for a non-competing colleague or referral partner. Even better, see if you can blog for one of the popular consumer-oriented mental health websites, such as PsychologyToday or PsychCentral. You won't have as much control over the content as you would on your own blog, but writing under their brand adds prestige and gives you a boost in Google search results rankings. Regular column - For a few years I wrote a mental health column for a local magazine. Even after the magazine folded, my columns are still online. Column writing opportunities can extend to niche audiences. For example, if you are interested in working with the business community or with family lawyers, offer to write a regular feature for their newsletters. Other vehicles - Create handouts and fact sheets. Leave insightful comments on news sites. Participate in social media, focusing on a topic that you want to be known for.